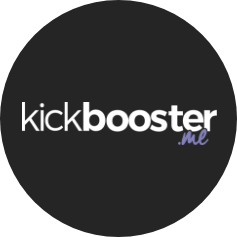 Kickbooster is the first affiliate marketing tool that allows campaign creators to incentivize others to spread the word about their campaign. Kickbooster is designed to help campaign creators motivate affiliate marketers, influencers, journalists, and even their existing customers by offering a commission-based reward for successfully referred pledges. All you need to do is design a branded Booster opt-in page, set a reward, and invite people to participate in your program. Kickbooster automatically tracks referred pledges, calculates your commissions, and handles all of your Booster payouts for you. As an added bonus, you can also add your campaign to the Kickbooster Marketplace, making it visible to our growing network of thousands of affiliates.